It seems every year we hit a wall right after Thanksgiving even though we've barely made a dent in our endless holiday shopping lists. You too? Thought so. You could revert to buying everyone in your corner the same random gift card, but where's the fun in that? Sure, we understand that's the easiest (ahem, cop-out) route, but to be honest, it's actually just as quick and painless to find the perfect, unique present for all the special people in your life. To prove it and make the process a breeze for you, we rounded up the best gifts under $100 on the internet, and trust us—there's something for everyone, whether you need the ideal accessory for the fashion girl in your life or a cool item for the main dude in your circle. Keep scrolling to check out what our editors are giving as gifts this year! Vianel offers the option to get these chic lighters monogrammed. Wrap it up with a candle for a personalized gift. Without a doubt, this is the coolest stationery we've come across in a long time. Package the aforementioned "coolest stationery" with these colored pencils from El Cosmico. Sidenote: The Marfa, Texas–based nomadic hotel is a must-visit for art lovers. The most stylish briefs around. Le Labo has the most amazing scents. A three-piece haircare set that's conveniently sized for travel? Your jet-setting friends will have only you to thank for this thoughtful gift. Give the gift of relaxed luxury this holiday season. This oil makes your lips so soft. Photo books make for a thoughtful gift the recipient will keep forever. A cotton tee is always a good decision. You can never go wrong with jewelry, especially when it's this classic. Everyone can use a Glossier Generation G in their purse. Any girl who loves handbags needs this genius invention. This 100% silk eye mask is the ultimate luxury. This two-tiered jewelry tray turns your trinkets into cute bedroom décor. Who better to take style cues from than street style queen Pernille Teisbaek? Fact: You can never have enough lace bralettes. Found: the perfect white tee. Don't slack on your card game. Your skin says thank you. The perfect piece for any coffee table. Cool boxers for the cool person in your life. This will look pretty in her purse. You might want to buy a pair of these for yourself, too. This candle set has you covered from sun up to sun down. Looking chic in the rain just got easier. How can you not smile after looking at this cute case? These comfortable heels are perfect for the holidays. The lucky recipient of this tray will think of you every time they toss their jewelry, movie stubs, receipts, or other trinkets in it. Wear with vintage denim for a laid-back look. Madewell makes it easy to customize this shirt for a truly personal gift. Croc is so trendy right now, yet it happens to be rather timeless too. These leggings are comfortable and flexible. Everyone needs a pair of cat-eye sunglasses. Marc Fisher shoes are famously comfortable, and these on-sale beauties are no exception. You'd never know that this luxe mask has an eco-friendly spin to it. The filling is made from polyester derived from recycled plastic bottles. This case does double duty: Protect your phone and make sure you're looking fly. Dip your toe into the logo-mania trend. The beauty of these simple yet impactful earrings is their versatility. No matter your style, you can incorporate them into almost any outfit. Everyone deserves a pretty little something. Leopard print is everywhere. Why not consider the more unique giraffe option? This pick is sure to add new life to an old bag. Give this artful T-shirt to your favorite museum buddy. Don't be surprised when these sock booties become your pal's favorite winter shoes. The grown-up version of a friendship bracelet. Who needs a clunky wallet when this sleek version is calling their name? We won't tell if you keep this for yourself. Winters are hard on us all, but a little skincare indulgence might make it a bit easier. Your favorite snow bunny will treasure this chic tome. This amazing-smelling set will be a much-welcomed addition to their home. 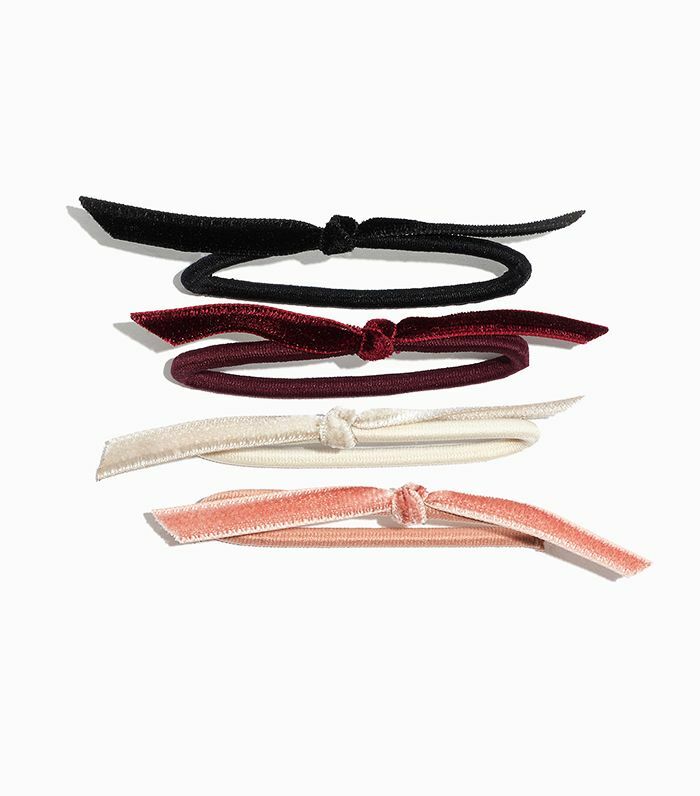 This delicate lace barrette was designed specifically to peek out from your T-shirt. For your friend who treats their plants like they are children. You know who we mean. A T-shirt with an important daily reminder. Urban Outfitters collaborated with Fujifilm on this exclusive instant camera. Think of all the (analog) photo ops you’ll get with your friend. If you think that giving socks as a gift is too cheesy, think again. This rosy mesh pair by certifiably cool brand Rachel Comey is a gift worth giving—and receiving. Anyone who's ever smelled the sumptuous combination of jasmine and neroli in a bath product knows just how luxurious this facial oil is. Both the coffee snob and the minimalist will geek out at this beautifully designed French press.